You are here because you want to know if you can buy the eBook for your Kindle on Amazon.com. The answer is yes and you can use a Singapore credit card. 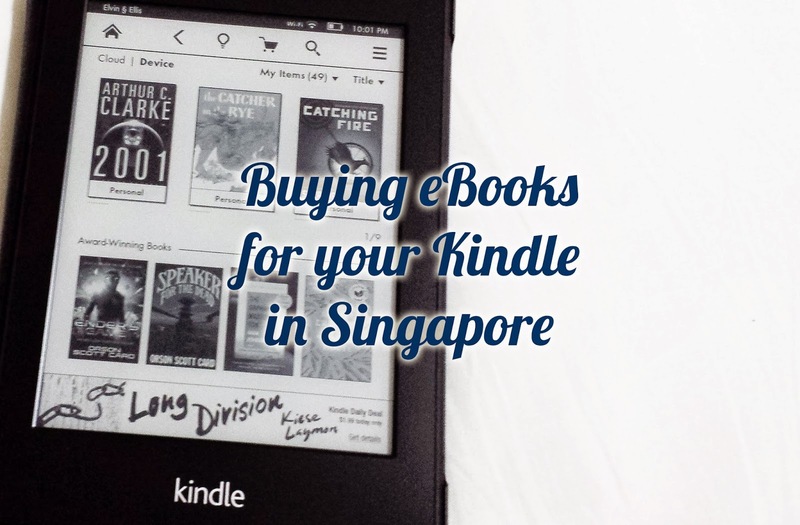 This guide is for both existing and prospective Kindle owners. If you are still unsure if the Kindle device is for you, read my review on the Kindle Paperwhite. Read on for three simple steps to building your eBooks collection. The Kindle eBooks is a section on Amazon.com that showcases all the books available for purchase. If you have bought or browse eBooks on their site before, Amazon will recommend the books based on your interest. Apart from the Best Sellers list, you may want to check out The Big Deal section where books are sold at huge discount for between USD $0.99 to $3. Click here to go the the Kindle eBooks store now. After deciding on your book, it's time to make the purchase. On the left bar, a big orange button says "Buy now with 1-Click", click on that. Just below that button, there is an option to select the Kindle device that you want the book delivered to (mine is named Elvin Ellis). 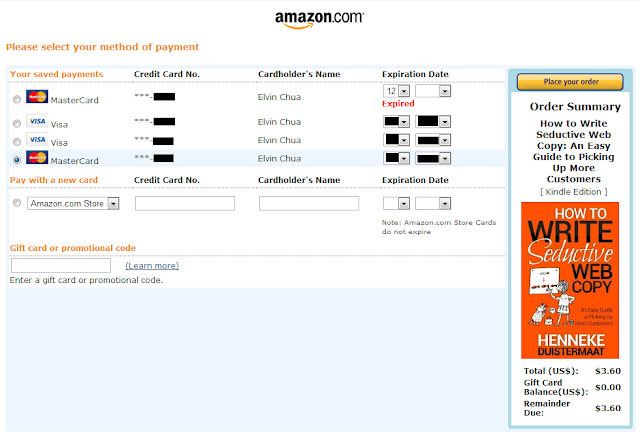 On the next screen, you need to select your credit card (if you have bought from Amazon before) or enter a new credit card. If this is the first time that you are paying, then you will see this screen. Important: if you have bought eBook from Amazon.com before, you will not see this screen. The 1-Click button will purchase the eBook immediately. 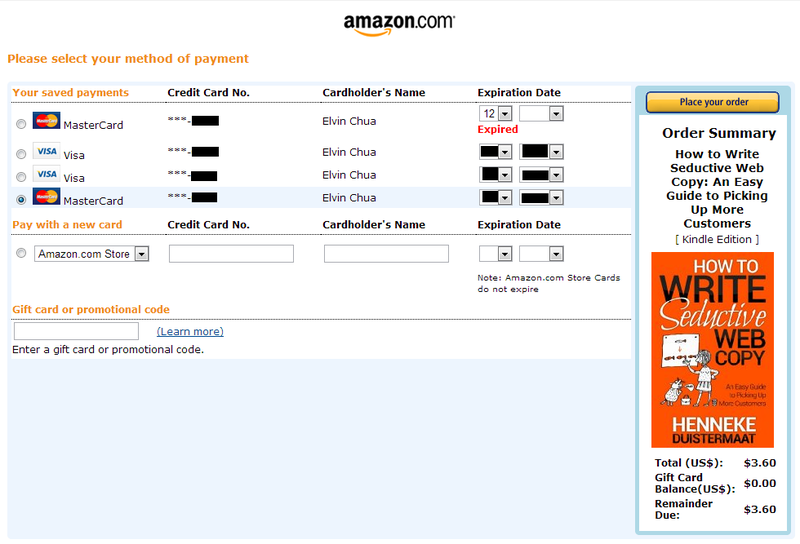 You do not need to have a US credit card to pay for the book. All my credit cards were issued in Singapore and I was able to use them. Now open your Kindle device and your book will begin downloading immediately. Now that you know how to build your eBook collection from the Kindle eBook store, you can set forth on your endless reading journey.